Tomei Complete Engine - SR20DET NISSAN - Pann Auto Performance - San Diego largest aftermarket automotive performance parts - What do you drive? 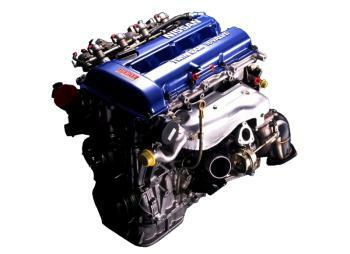 The Tomei SR20DET Complete Engine is a drop-in replacement for your SR20DET. Every Tomei SR20DET Engine is completely balanced and blueprinted, and posses only the highest quality parts available from Tomei and Nissan. The Tomei SR20DET Complete Engine gives you the option of increasing your displacement to 2044cc or 2163cc with an 87mm Bore.